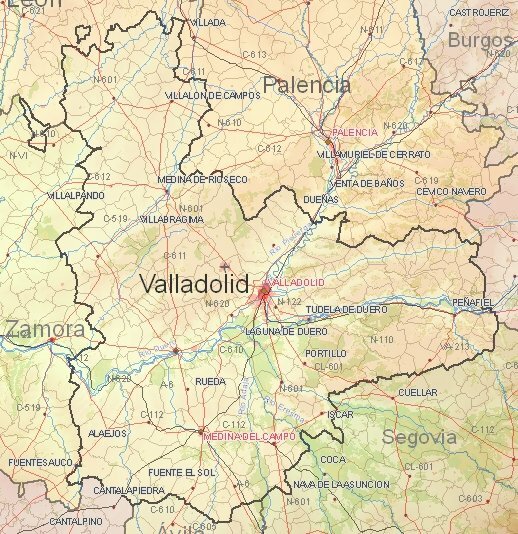 Cultural holiday to the land of the river Duero and Valladolid? : The Castillo de la Mota castle built in the 15th century is the attraction of this place. : 14th century castle on the Tierra de Campos. The Tierra de Campos is a very dry arid plateau with lots of agriculture (corn, wheat, barley). 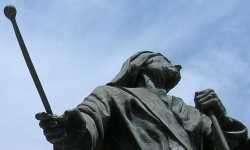 : City on the river Pisuerga with many museums (National Museum of Sculpture). Other attractions include the Pasaje Gutierrez (indoor shopping arcade from the year 1885), a cathedral, a monastery (Monasterio de las Huelgas Reales), the Royal Palace and the Palacio de Santa Cruz. : Top attraction is the Convento de Santa Clara, a religious building with Moorish (Mudéjar) influences and a Gothic church. : Place in the north of the province of Tierra de Campos with some particular churches (including Maria de Media Villa, Santiago and Santa Cruz) and three old gates to the town.